For PropSocial readers and property fans, it should come as no surprise that we think 2019 will be a difficult year for property for investors and developers alike, as the market continues to adjust to a large residential property overhang and changing consumer sentiment. But don’t just take our word for it: CBRE|WTW, Malaysia’s oldest and largest real estate service provider, has released its Real Estate Market Outlook 2019, laying down its take on what’s hot and what’s not in property for the year ahead. CBRE|WTW: 2019 will be challenging for property, with some silver linings. Prospects for residential and commercial properties - in other words, houses, apartments, and retail and offices - are expected to stay flat or even go down. 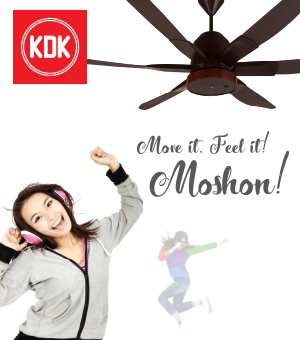 This is due to oversupply in major areas like Kuala Lumpur and Penang, coupled with affordability issues. Who wouldn’t want to invest in that view? However, investors might want to check out the hotel and industrial spaces, which CBRE|WTW is keen on. Hotels are increasingly seen as bonuses for integrated developments while encouraging tourism and medical tourism, and industrial projects are growing as e-commerce catalyses logistics and warehousing activity in Malaysia. More malls are focusing on F&B. Mana nak makan? Commercial properties will see even more incoming launches, with a pipeline of 15 million sq ft by 2020 - about 10 times the area of Suria KLCC! These new offices and retail spaces will compete with older buildings, which will have to change to keep up. Retail projects like malls, for example, are adding more food and beverage outlets to their tenant mixes - because Malaysians love to eat. Meanwhile, older offices are renovating (known as “asset enhancement initiatives” in the industry) to save on operational costs, though asking rentals are still dropping. We all love Kuala Lumpur’s vibrant skyline, winding roads and heritage buildings co-existing next to modern skyscrapers. However, the city lives up to its name, as from a city planning perspective, it is a muddy confluence. Clearer planning guidelines will benefit developers, says Foo. 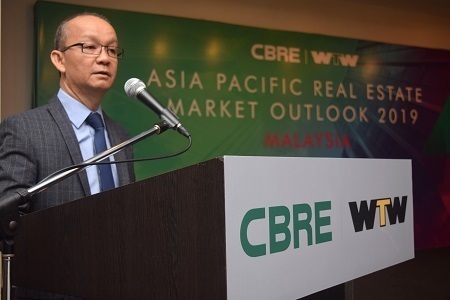 CBRE|WTW managing director Foo Gee Jen hopes that this will change soon, with the upcoming Kuala Lumpur Structure Plan 2020 laying down planning guidelines for future developments, making things like plot ratio distribution and zoning more transparent. Expected for completion in 2022, the West Coast Expressway will open up Klang Valley’s western development corridor. CBRE|WTW recommends developers target land in and around Puncak Alam, Bandar Bukit Raja and Banting for new townships. Other hotspots include Rawang, Sungai Buloh, Bangi, Semenyih, Cyberjaya, Nilai and Sepang, all of which lie in Klang Valley’s north and southeast development corridors. Land can still be found in these areas priced at RM18 psf and below, allowing developers to build with profit. 5. Malaysians still spending on cars, not property! Not that spending on cars is a bad thing. With all the buzz about millennials and how they use their money, CBRE|WTW notes that Malaysians are still spending on assets - just not property assets! 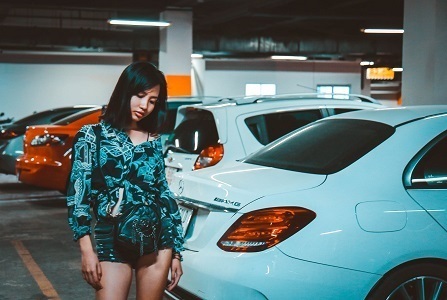 Luxury car makers like Mercedes-Benz registered record sales in 2018, while property purchases went down by 1.6% to 38,053 transactions. Who’s buying all these cars, and why are they so gila about depreciating assets? The PropSocial sifu is stumped, and wondering if he should upgrade his 2004 Wira. Do you agree with CBRE|WTW’s take on 2019? Let us know below!